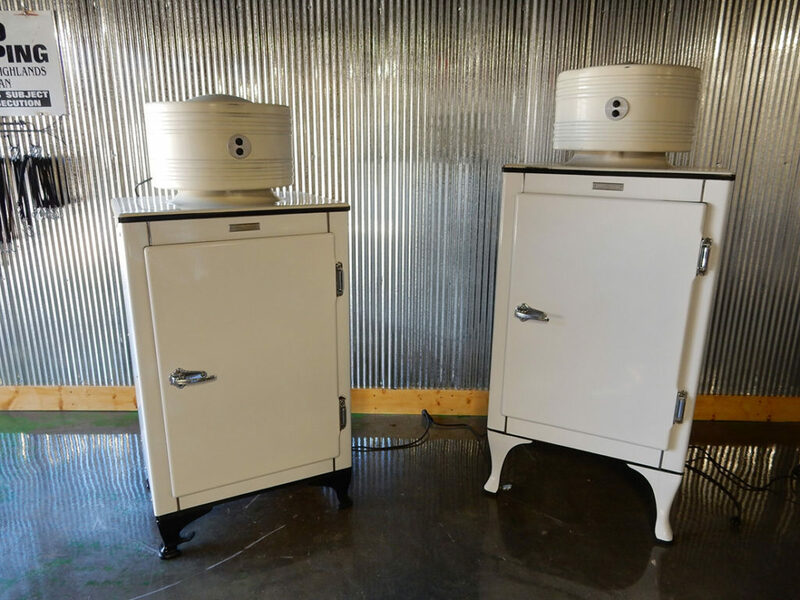 Dwayne brought these two 1930’s General Electric Monitor Top Refrigerating Units back to their former status, but with a twist. 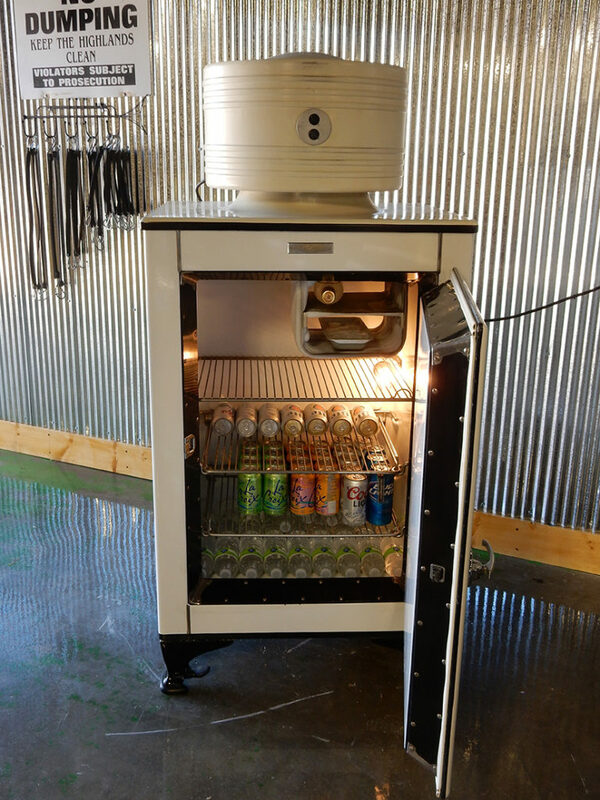 He restored them to their original condition, but reinvented them as custom beverage fridges. 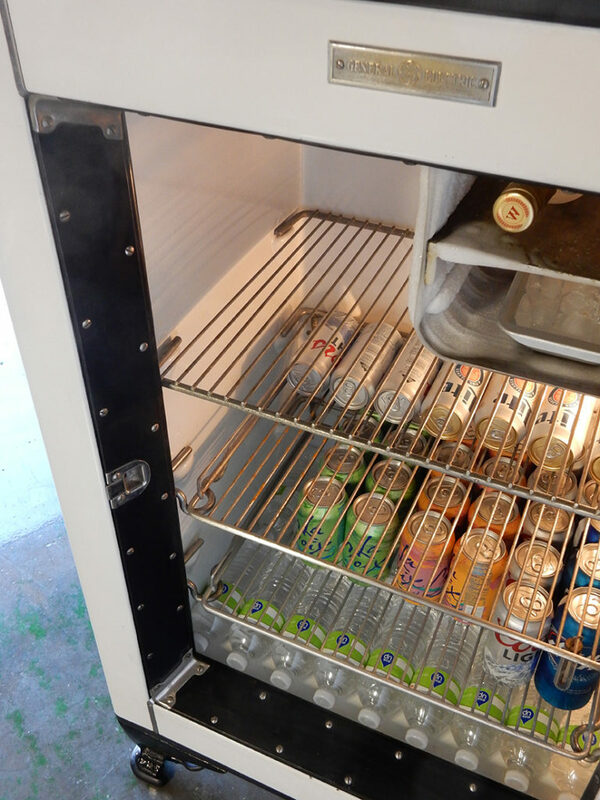 These units were built to last … before “planned obsolescence” became part of the way we live. Dwayne feels these units and others are a genuine tribute to American craftsmanship and they should be appreciated and enjoyed. The bodies of the units have enamel paint. 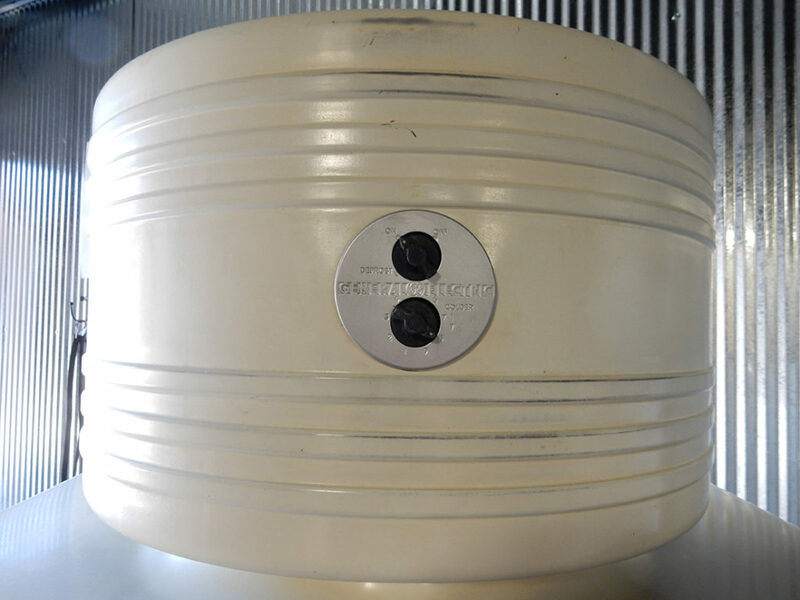 Model numbers are as follows: The taller legged refrigerator is a type CK – 2 – B 16 General Electric refrigerating machine. 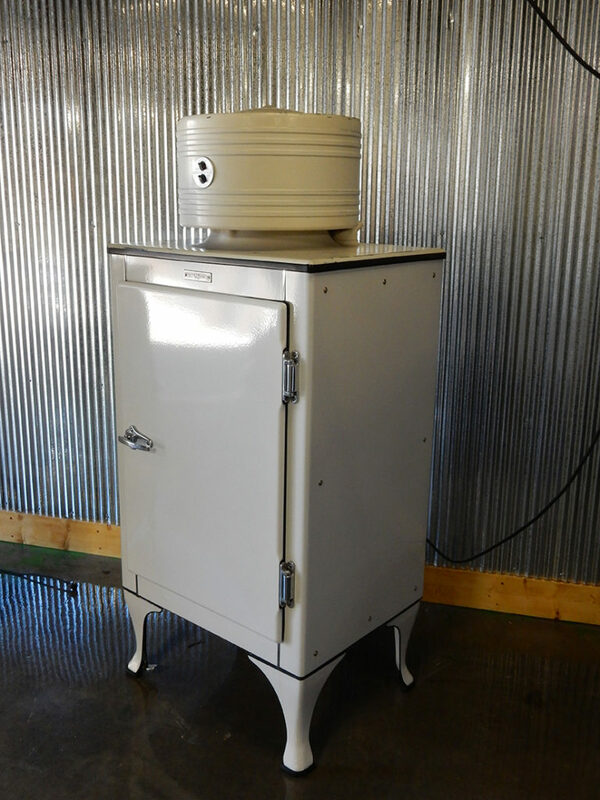 The shorter legged refrigerator is a general electric type CA – 2 – B 16 refrigerating machine.